There are many things you can do to ensure your birthday party is a success. Please take a minute to read our list of suggestions to help make your princess party SPECTACULAR! 1. Have guests arrive at least 15 minutes before your character. We never want to spoil the magic. By having your guests arrive BEFORE the character, you can ensure everyone will already be inside waiting so the fun can start right away. Our performers try their best to preserve the magic by never being seen entering/exiting a car (because everyone knows princesses travel by magic carriage). 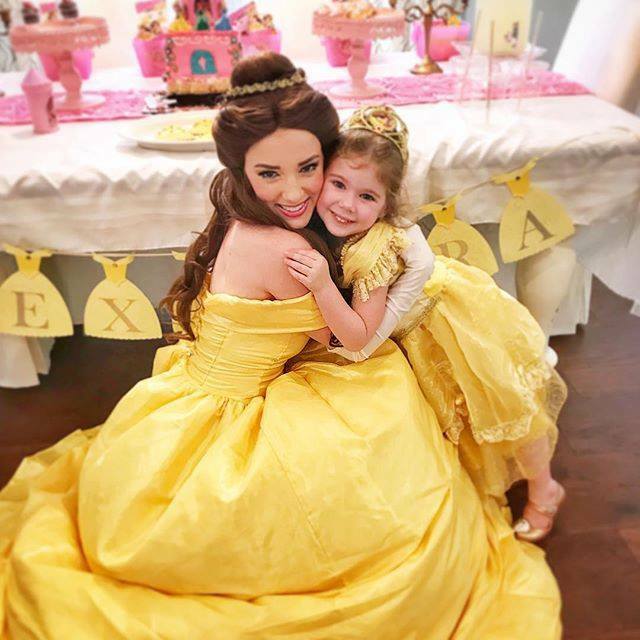 Have your character scheduled to arrive after the guests for the perfect start to your princess party. 2. The younger the age, the fewer the guests. If your little princess is turning 4 or 5, a party exceeding 12 guests has the potential to get out of control. Younger children need more attention so limit your guest list if the guests are younger. 3. Space, Space, SPACE! We cannot stress enough how much space we need. Our parties are full of dancing, games, activities and more. So push back those couches and take the coffee tables in the other room. A crowded party is never fun! 4. Have the guests leave at least 15 minutes after we leave. Quite often, we have another party to get to and we need to make sure we make a swift exit. Providing an engaging activity (cake, piñata, presents, etc) after the character departs will keep wandering eyes from seeing a character leave the party location. Again, our performers try their best to preserve the magic by never being seen entering/exiting a car (because everyone knows princesses travel by magic carriage). 5. We do NOT discipline guests! Sometimes the fun and excitement can be overwhelming for a child. Once in a while, we may need a parental figure to step in and help with a child. If you see that one of the guests is interfering with a game or preventing the party from running smoothly, we ask that you kindly take care of the matter. 7. Keep your pets AWAY. Pets are part of the family too. However, an excited dog or playful cat could easily ruin one of our expensive character costumes. If you have a pet, we ask that you kindly keep them away from the characters and hostess staff, preferably in a separate room. 8. Absolutely NO SMOKING while our characters or princess party team are present. Doing so would result in an immediate end to the party with no refund. 9. Provide easy access to the kitchen and sink (for parties). When we are running the party, we will need access to the sink and kitchen area. A clean kitchen with an empty sink helps everything run faster and more smoothly. 10. Plan according to the weather. Summer is very hot! 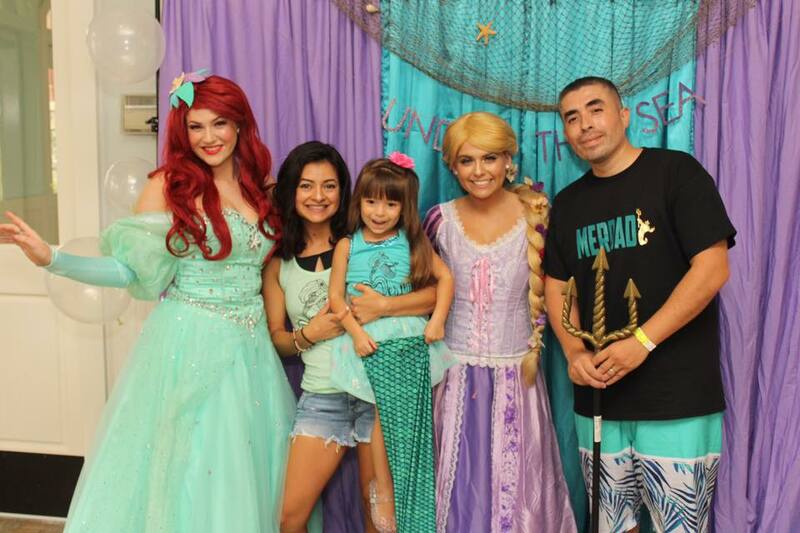 Keep in mind, our characters must be INSIDE unless permission is granted for an outdoor princess party (with the exception of our swimming mermaid). If you follow these simple steps, your party is sure to be a great success! We love party planning and are always willing to help our clients with their SPECTACULAR events. If you have a special request or need recommendations for a specific vendor, please let us know.